This evening, I got home to find a nearly-empty fridge. Not being in the mood to cycle out in the pouring rain, I decided to deal with it, and see what I could make with what was there. This rather tasty meal was the result. Food Tech was always the best of the various technology lessons at school – an hour and a half of cooking, followed by eating the results. 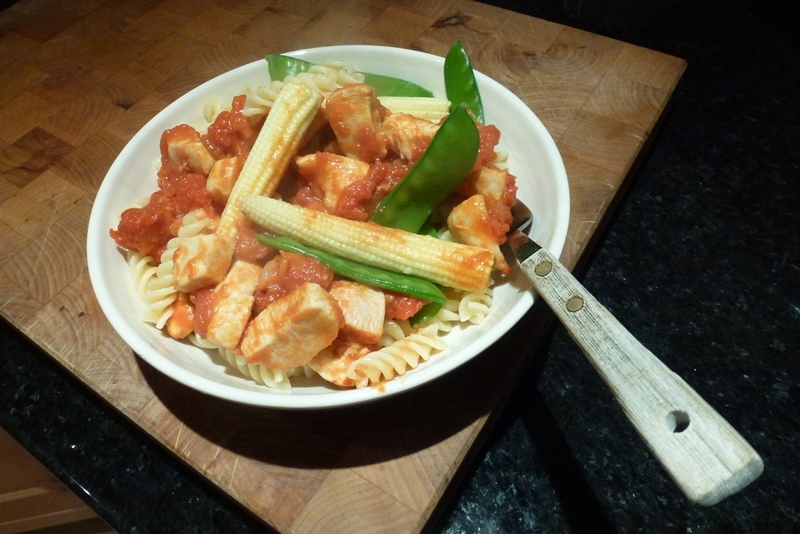 In Year 8, Food Tech taught me this recipe for a simple tomato sauce, which I now know by heart, and which can be used as a base for quite a lot of different meals.